These low orbits have revealed unprecedented details of the relationships between bright and dark materials in the region of Vinalia Faculae. 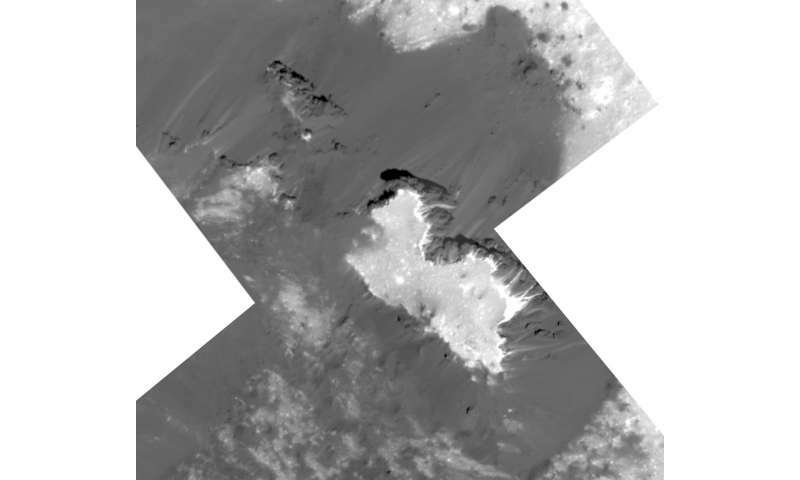 Dawn's visible and infrared mapping spectrometer had previously found the bright deposits to be made of sodium carbonate, a material commonly found in evaporite deposits on Earth. 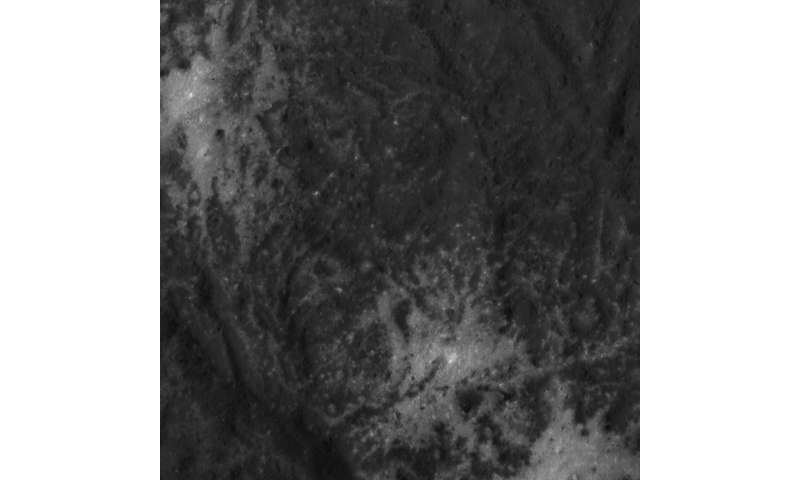 Last week Dawn fired its ion engine, possibly for the final time, to fly nearer Cerealia Facula, the large deposit of sodium carbonate in the center of Occator Crater. "Acquiring these spectacular pictures has been one of the greatest challenges in Dawn's extraordinary extraterrestrial expedition, and the results are better than we had ever hoped," said Dawn's chief engineer and project manager, Marc Rayman, of NASA's Jet Propulsion Laboratory, Pasadena, California. "Dawn is like a master artist, adding rich details to the otherworldly beauty in its intimate portrait of Ceres." And the low-altitude observations obtained with Dawn's other instruments, a gamma ray and neutron detector and a visible and infrared mapping spectrometer, will reveal the composition of Ceres at finer scale, shedding new light on the origin of the materials found across Ceres' surface. New gravity measurements also may reveal details of the subsurface.